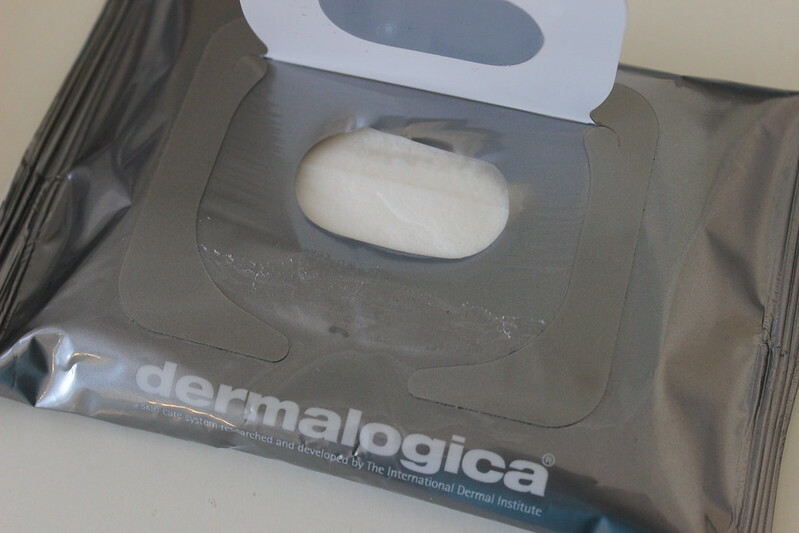 So I was sent some Dermalogica products a couple of weeks ago, and after testing them out, there are some pros and cons. The items I was sent is called the Dermalogica Precleanse set. One of the things I like about this is that it's ideal for even the most oily skin conditions. And it's formulated without artificial fragrances and colors. I'm going to talk about the cons first. The wipes just smell just generic wipes. There's not a specific floral scent, which is okay but sometimes after a long day, after I get home, all I want to do is relax, and soothing smells can help me relax. Second thing was that the wipes were really hard to open. I was struggling with the packaging for five minutes, until I finally got it open. The pro's is that the precleanse liquid is more like a cleansing oil, which I've used something similar in the past. This is good for those times when after you take off your makeup and you want a little more moisture. When I first smelled the liquid I thought that it smelled cirtus-y. But now I'm not so sure. Anyway, the liquid has a squeeze top, which makes it easier to control how much liquid comes out, as opposed to not having a squeeze top, and then spilling out more than you need. You don't need to have to have makeup on, to be able to use this set, it can just be a part of your skincare routine. The good thing is that the wipes are biodegradable! The pro's do outweight the cons, but I'm still debating if I would pick up more of these when I run out. The price for this set is $56. 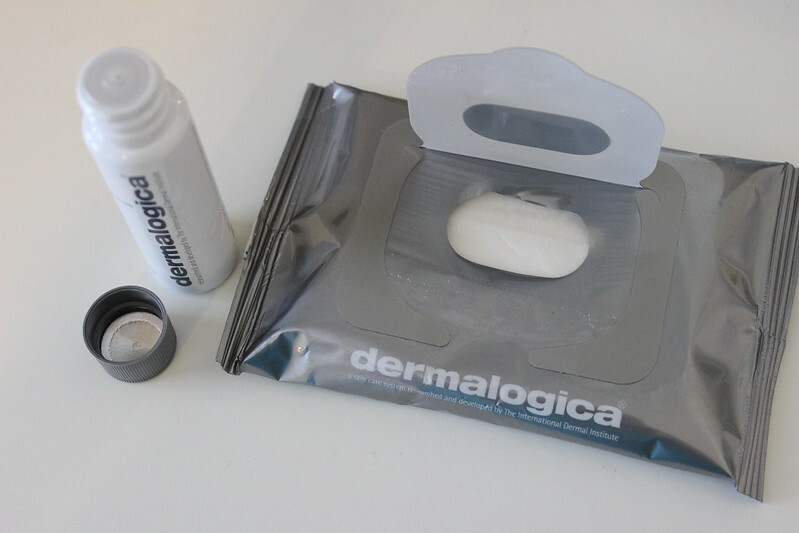 To check out this set, and other info about Dermalogica, check them out here. Would you try this out? I like that they are biodegradable this is one of the reasons I don't do wipes--the waste. They sell this line at my nail/beauty spa I was thinking of getting the moisturizer for ruddy skin. I love that these wipes are biodegradable too! it does seem that the pro outweighs the cons! this looks like a good product! I agree! But the price is a little expensive. Love the fact that is biodegradable though! Yes it is $56, but they give you a lot more than the samples that I received. So I think of it as a good deal. And you can buy the two of them separately if you don't want to buy them together. I like that it's eco-friendly but $56 is too much for me. There are cleansing oils and wipes from Etude and other Korean brands that cost less than that.